Now almost four years later, the network running the Ether cryptocurrency is losing market share. Long-promised projects touting better features are starting to be delivered on rival platforms and some startups are using coins such as EOS and Stellar to raise funds through initial coin offerings despite lingering regulatory concerns about the sales. The migration to other networks may be weighing on demand for Ether, which has been range bound in recent months. Investors don’t always need it to buy into ICOs, which were traditionally issued over the network. Online video-game players don’t have to depend on Ether to purchase in-game merchandise — such as weapons or even virtual cats — that are now featured in many so-called distributed applications, or dapps. “Owning Ethereum today is a call option on what you think the network is going to be in the future,” said Travis Kling, founder of the Los Angeles-based crypto hedge fund Ikigai. The market share for dapps has shifted already. Only 28 per cent of dapps users were on the Ethereum network as of January, compared with 100 per cent a year earlier, according to tracker DappRadar. EOS accounted for 48 per cent of active dapps users, while Tron has grabbed 24 per cent, DappRadar found. Of total dapps released in January, Ethereum was still ahead, with 40 per cent of market share, according to DappRadar. EOS and Tron are already at about 30 per cent each. “The reason why they got so much adoption, those new protocols, is that they offer considerably better speed, transactions per second,” said Patrick Barile, chief operating officer of DappRadar. Ethereum’s average transaction confirmation time is around 13 seconds, though it has spiked much higher. Some other networks, meanwhile, brag of speeds of less than a second, allowing for new applications such as action gaming to feel like it’s happening in real time. 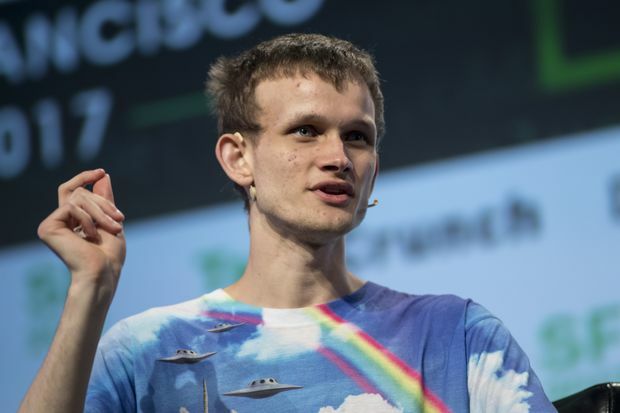 Ethereum co-founder Vitalik Buterin acknowledges the shift, though he says it’s not something to worry about. Ethereum’s slow speeds and high cost are also a reason why some startups are issuing their tokens elsewhere. Alpharetta, Georgia-based Ternio offered its coin, TERN, on Stellar last year, because it needed Stellar’s faster network, Ternio CEO Daniel Gouldman said. The company is about to go live with its prepaid crypto debit card. “If you are at a McDonald’s drive-through, and waiting 20 minutes because the Ethereum network is overloaded at the moment… With Stellar it’s fast and cheap,” Gouldman said. Transactions running on Stellar costs less than Ethereum transactions, he said, making it much more attractive for users. Ethereum may still face its biggest challenge. Binance, operator of the world’s biggest crypto exchange, plans to launch Binance Chain within several months. Binance has already lined up 10 projects whose coins currently run on Ethereum, but plan to migrate over, said Zhao Changpeng, Binance’s CEO. “This year we’ll work very hard to drive adoption,” Zhoa said. Don’t count Ethereum out just yet. The vast majority of token offerings still flock to Ethereum, where they believe they can raise the most funds. The project has a huge fan base and developer support. “The thing that really shines about Ethereum is its vibrant community,” Hudson Jameson, a member of the Ethereum Foundation, said in a statement. Developers are working to improve the network’s throughput and transaction speeds, with major improvements expected within months. 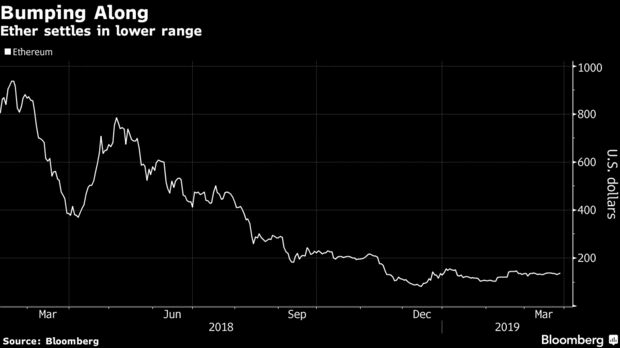 “Ethereum’s scaling plan is a multiyear process and exceptionally difficult to execute, so developers are trying out other options,” Kling said.